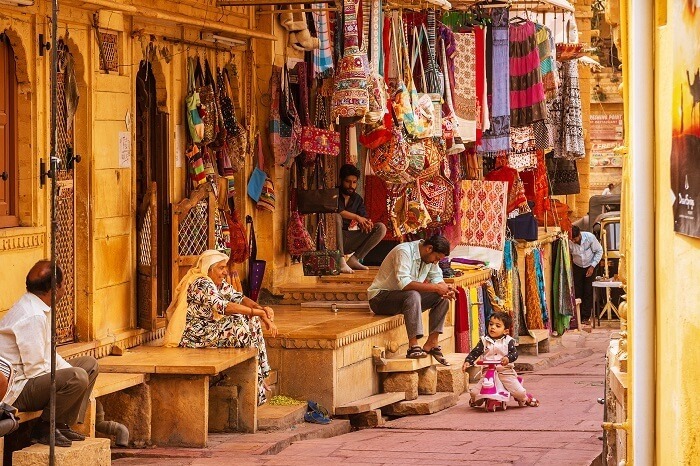 Unlike shopping malls, high-end boutiques, and designer labels that we find in metropolitan cities, shopping in Jaisalmer offers a completely unique experience to all the travelers alike. 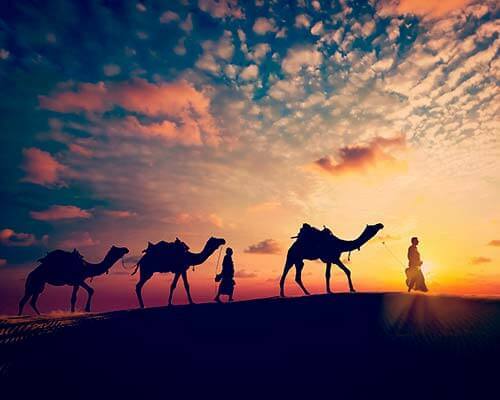 Taking you through the rustic charm of the Golden city, these famous five street markets in Jaisalmer enable the shopaholics to relish the essence of the ancient Rajasthani culture, for which travelers from all across the world flock to this colorful paradise. 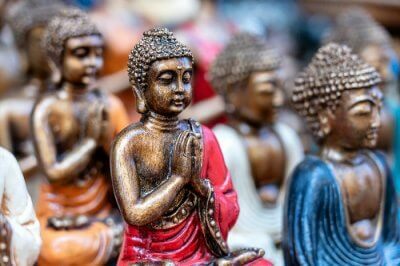 Though the shops at Manas Chowk may be small in size, there is no dearth of shapes, colors, and variety of the souvenirs that you can buy here. 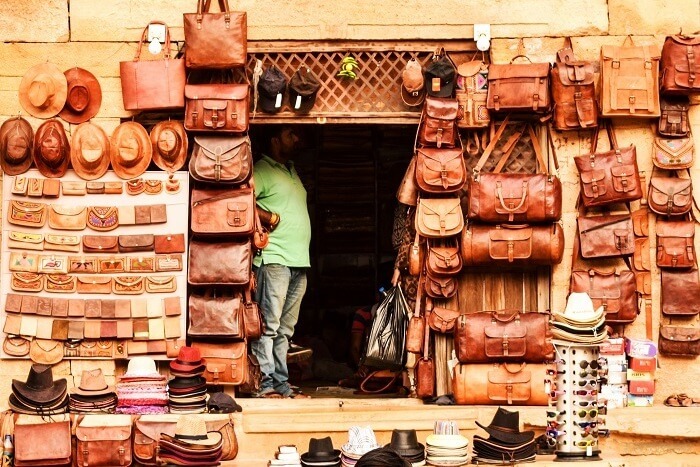 Be it the traditional clothes, the colorful handicrafts, the attractive bags, or the locally-made leather items, shopping in Jaisalmer will be a never-ending experience for you on the streets of Manas Chowk. 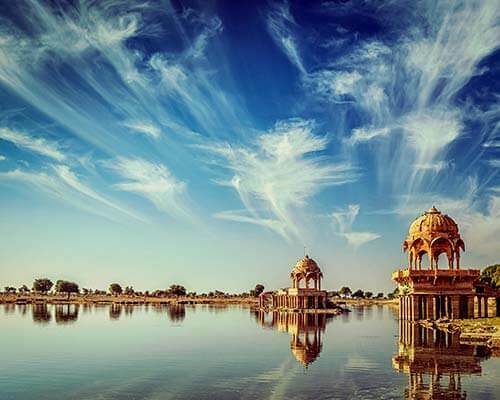 For everything good, and for everything ethnic, head towards one of the famous places for shopping in Jaisalmer – the Pansari Bazaar. 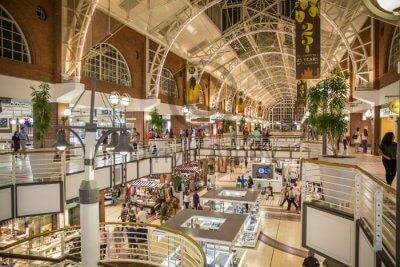 Considered to be one of the oldest street markets in the city, it is also referred to as the Villager’s market which is famous for selling items which are ethnic to the core. From the handicrafts to colorful home decor items, and from the traditional dresses to the popular puppets, Pansari Bazaar is one of the best places to visit in Jaisalmer to shop for amazing souvenir that let you take a piece of the Golden city back home. Literally translating into an “abode of lapidaries”, the market of Sonaron ka Baas is the ultimate place to be for some jewelry shopping in Jaisalmer. Whether you want to buy gold, silver, or jewelry studded with precious stones, there is nothing you can’t find it at Sonaron ka Baas. 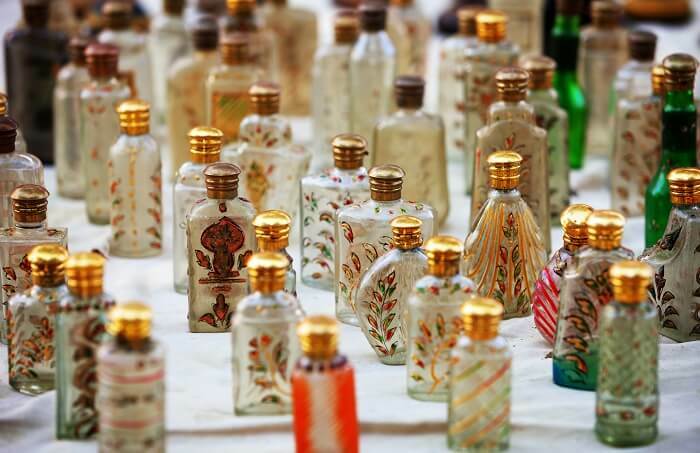 From the traditional and authentic silver ornaments to the fascinating beads and funky accessories, find your perfect match for every outfit at this market, which plays a major role in boosting Jaisalmer Tourism. 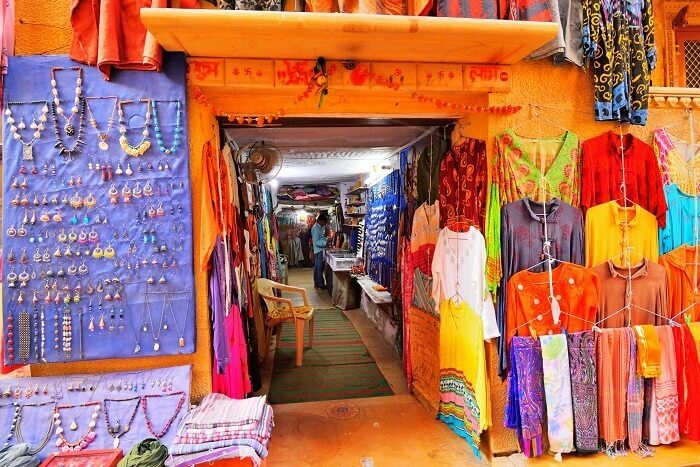 From the most antique souvenirs to the best of silk fabrics, Bhatia Bazaar is the place to be for travelers looking forward to the some saree shopping in Jaisalmer. Big to small, traditional to modern, Bhatia Bazaar is much famed to be one of the oldest street markets in Jaisalmer which houses an array of shops, stalls, and bazaars. 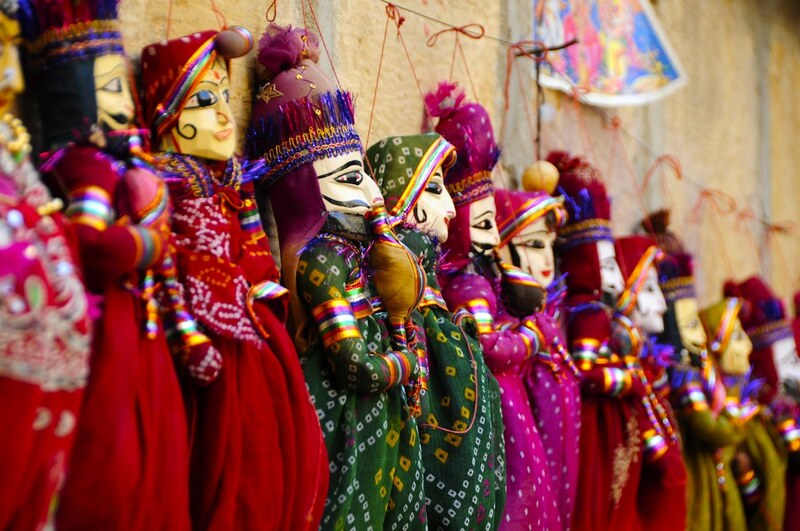 Also, do not miss out on shopping for embroidered cotton and silk fabrics which is one of the best things to do in Jaisalmer. 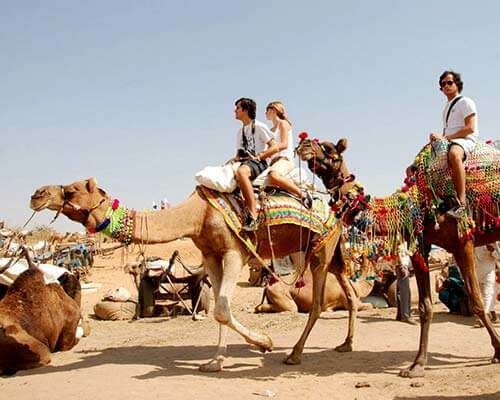 In search of a place where you can fulfill the purpose of Jaisalmer shopping under your budget? Look no further than the very famous, and very charming, Sadar Bazaar. 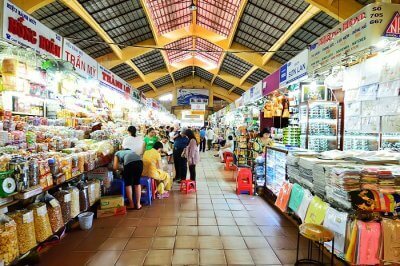 Though there’s a similar market in Delhi also with the same name, the one in the Golden City has no comparison with any other street market. 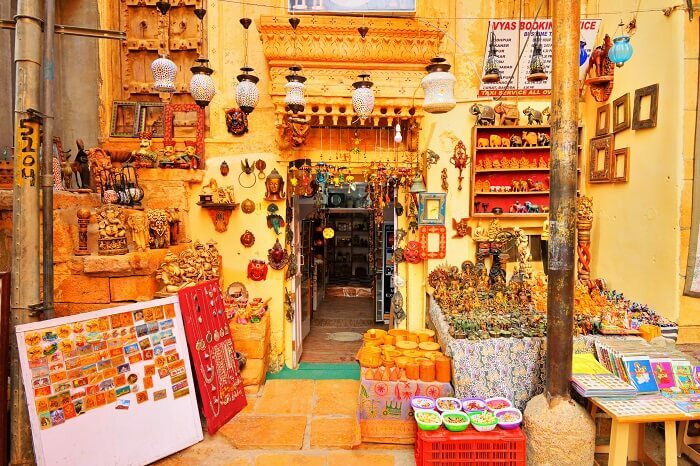 The look and feel of shopping in Jaisalmer can be best experience at the very own Sadar Bazaar. 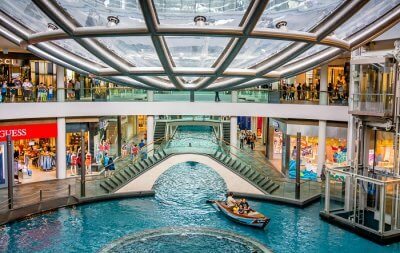 Although the market it famous for its leather goods, one can literally get their hands on anything from paintings, carpets, and handicrafts to jewelry, shoes, and sarees. 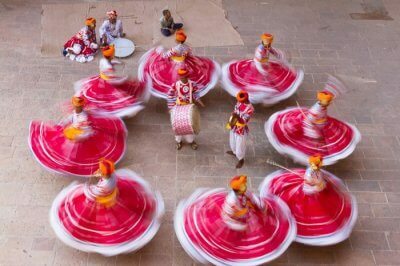 While the above mentioned are the famous markets where one can satisfy their inner shopaholics, you can also visit these other markets and stores which are famous traditional Rajasthani items. So what are you waiting for? 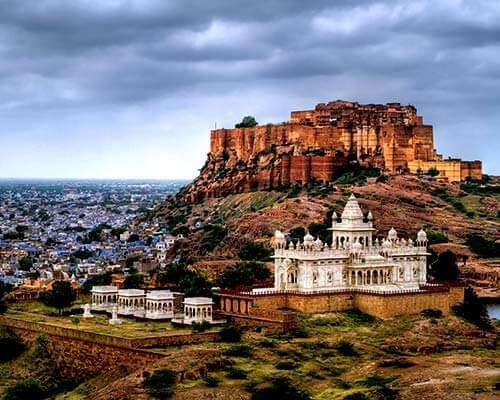 Experience the best of shopping in Jaisalmer at these famous markets and let TravelTriangle quench your inner Bohemian on your next trip to Jaisalmer with exciting Rajasthan tour packages. Customize your own trip right away, and travel the way you’ve always wanted to!